1-Bromopentane undergoes phase transfer catalysed alkylation reaction with 2′-hydroxy acetophenone using tetrabutyl ammonium bromide as catalyst. 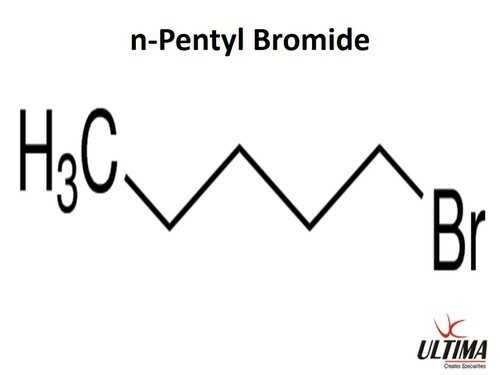 1-Bromopentane is a chemical reagent used in a multitude of organic syntheses. It is used iron-catalyzed alkylations of aromatic Grignard reagents via cross coupling. It is used in the synthesis of α, γ-diketo acids as reversible inhibitors of Hepatitis C virus NS5b RNA polymerase.